On 20 November Polish WB Group was awarded a PLN 100 million (USD20 million) contract for the supply of Warmate Micro Combat Unmanned Aircraft System to the Polish Army. 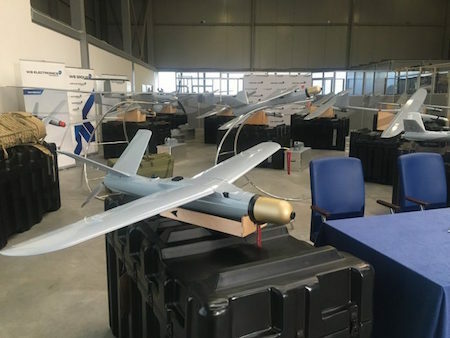 According to the agreement signed with the armed forces, 100 sets of short-range combat unmanned aircraft systems will be delivered. Each set consists of 10 drones. The “suicide drone” is intended to combine the advantages of a drone and a bomb and can hover for 50 minutes before swooping down on a target. With a range of 12 km, the system exists in vehicle-mounted and man-portable versions. It can be operated by one person and is launched from a pneumatic launcher. For science-fictional references, see last weeks Slaughterbot AI KIller Quadcopter Drones .